A view of a snowcapped Mount Fuji. In front is a sailing vessel. 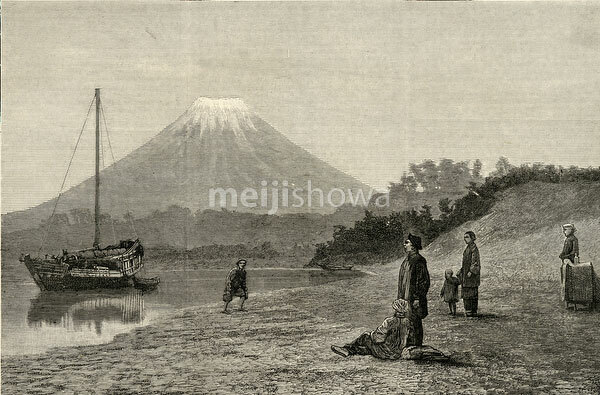 Published in the British weekly illustrated newspaper The Graphic on March 19, 1864 (Genji 1).